Newly promoted La Liga side Girona inflicted a huge blow on Real Madrid’s title challenge as they came from behind to beat the defending champions 2-1 at the Estadio Montilivi. In EPL, Everton went further down the relegation zone as they lost to Leicester City 2-0 at the King Power Stadium. Liverpool’s nightmarish form continued in the EFL Cup third round as goals from Shinji Okazaki and Islam Slimani saw the Reds lose 2-0 at King Power Stadium. 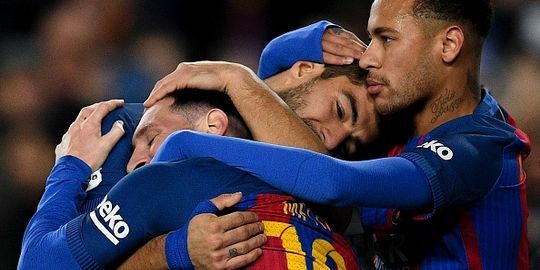 Barcelona remained atop the La Liga table with an easy 6-1 victory over Eibar at the Nou Camp, with Lionel Messi scoring four goals. Pep Guardiola’s men handed Jurgen Klopp his heaviest Premier League defeat as they outclassed a 10-man Liverpool side 5-0 at the Etihad Stadium to sit second in the table. Manchester United’s blazing start to the season came to a halt as a determined Stoke City denied them a fourth win on the trot. Huddersfield Town earned promotion to the Premier League next season after they beat Reading 4-3 in a dramatic penalty shootout in the Championship playoff final on Monday. Huddersfield will feature in the PL for the first time in 45 years after holding their nerve in a tense shootout.